It was a trip that almost didn’t happen. 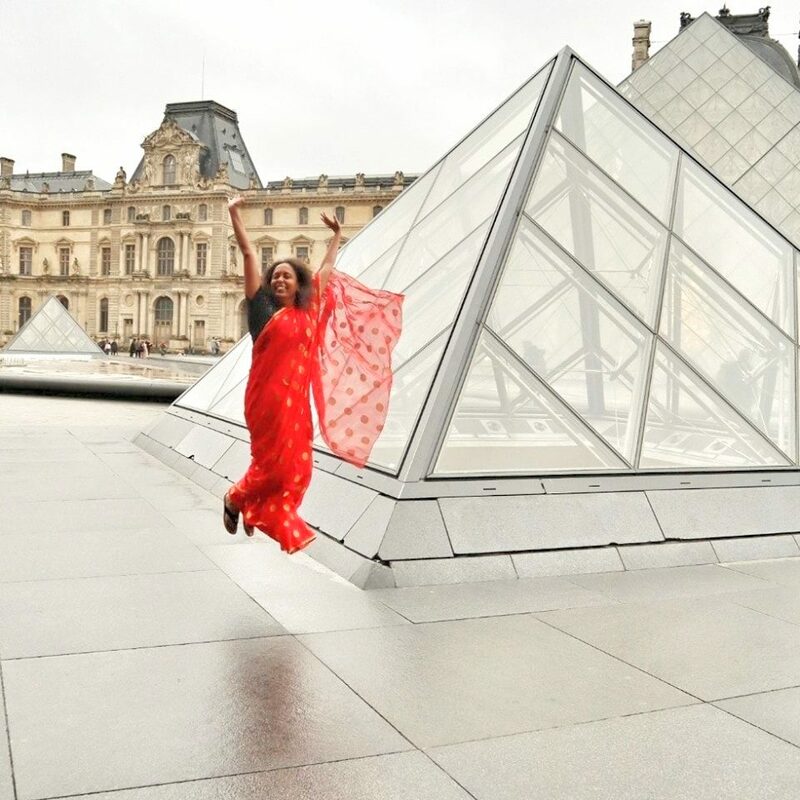 I was supposed to go on an international FAM with Chhavi, when the invite came to celebrate the Women’s Day with SpiceJet. I had to say my dates were already blocked. Then the international FAM got postponed. 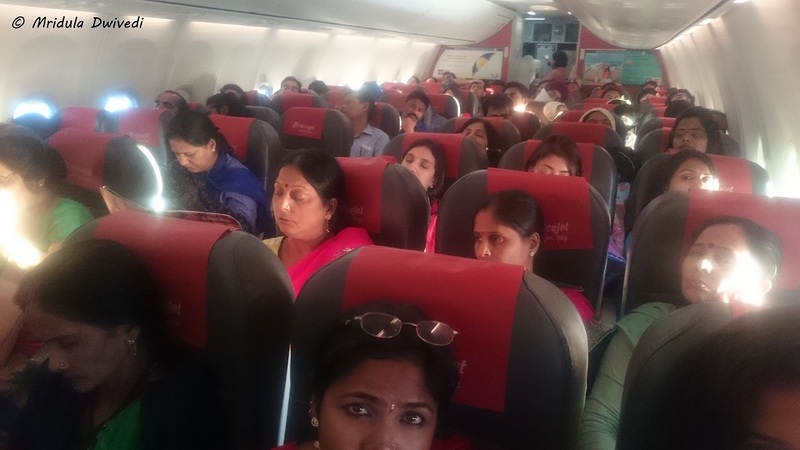 I went back without any hope to SpiceJet to see if I could still be a part of their Women’s Day celebrations. I was truly lucky, they still found a place for me, for it has been a Women’s Day like no other for me. 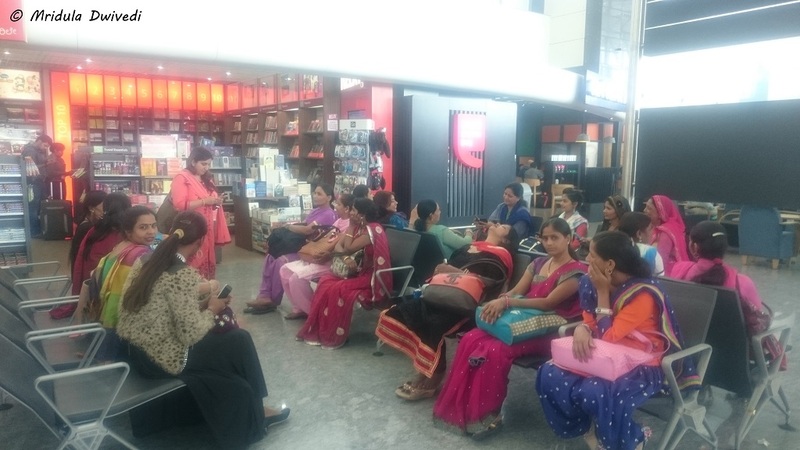 SpiceJet along with Navjyoti India Foundation, India Vision Foundation and Art of Living invited 20 women from rural and challenged backgrounds to fly with them from Delhi to Bangalore on the Women’s day. When I say challenged give me a minute to explain it, for I do not know where to start. I was at the airport at 4.00 am. 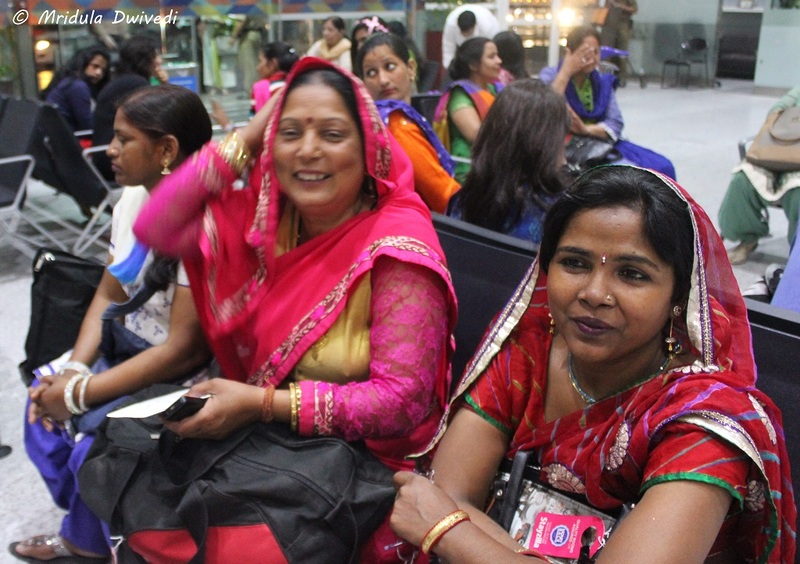 By 4.30 am I could see the women for whom the flight was arranged in the seating area before check-in. In a few minutes of conversation I realized that some of the women had spent time behind the bars. Afsa spent 15 years and 8 months in a prison for murder. When the flight took off Khushi who sat next to me had spent 5 years in a prison for murder. I do not know how they got released. I do not know what was the court’s verdict. But I do know that both women were extremely proud of who they are today. And I think life is tough for me! I am so proud that I was Khushi’s neighbor when the flight took off. I had the privilege of assisting her with the seat belt, asking how she felt and pointing out simple things out of the window and within the plane. It was actually the cameraman from a TV channel who pointed out to Khushi that we were above the clouds. She actually looked out many times to confirm out theory. She had a middle seat between us. Khushi has three daughters, all of them go to school. She works as a cook in a home. I cannot tell you how immensely proud I am of her employer too, even though I don’t have the vaguest notion about who they are. Waiting for Tea at the Bangalore Airport! She told me that she just wept for the whole week when she first went behind the bars. Then she gradually found strength in other women’s company. She said when someone would get released, she would think of a day when she could walk out too. Afsa said she was 20 when she went behind the bars. She said almost all her relationships died that day itself. 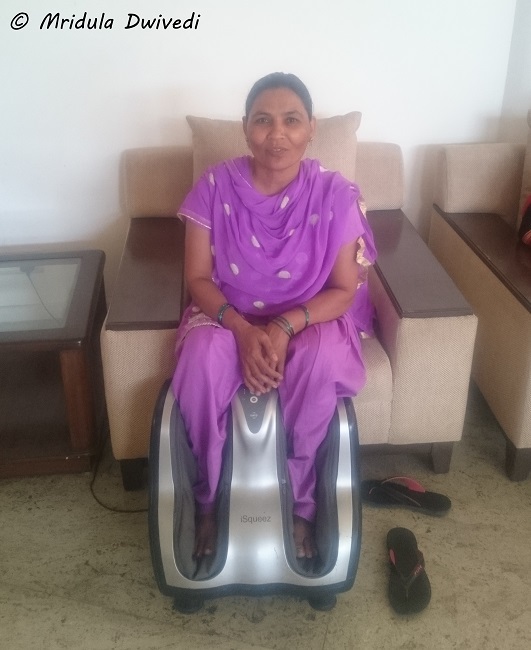 Her daughter now works in a private firm but she wants her to study more. Ajay Jasra (GM Corporate Affairs, SpiceJet) and I, both said that young people work before going for further education and she should let her daughter work. While talking to them I slowly realized what happens to the family when a parent goes behind the bars, particularly she is the mother. The kids become extremely vulnerable. That is where Dr. Kiran Bedi’s India Vision Foundation (IVF) comes in. They work with jail inmates to give them hope and to support their children. A mother can keep a child with her if the kid is less than 6 years of age. But after that the child has to move out. IVF runs creches for children within the prison and supports their education when they move out of the creches. I asked a dumb question to Khushi, so were prisons like what they show in movies? She said that was not true at all. She added there were some bad people but there were many good ones too. I talked to the Director IVF Moncia Dhawan and she too said that if I wanted to, she could show me a prison. The movie version is not true. And here were they, flying high up in the skies on the International Women’s Day, they were the #WomenWithWings. 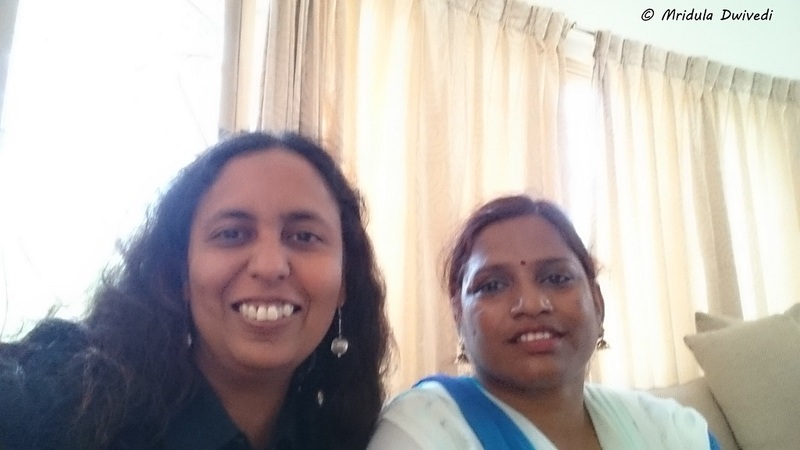 I also had a chat with Aslia, who overcame extreme poverty with the support of IVF. She does not has a prison history. But her marriage went bad and she move with her three kids to her father’s home. They lived under a barsati, they lived on footpaths. One day they got caught in a fire that raged her slums. She along with her three children got burned which needed treatments. Her father lost mental with the trauma. She said she needed 25 rupees for an auto to take her children to the hospital (Ram Manohar Lohia) and she would have to ask other people for it. But she somehow kept at it. She told me that one day she simply sat at a bus stop utterly defeated. A a stranger started talking to her and mentioned that IVF paid for her children’s school fee. The stranger didn’t tell her the address though. But she met her again on the same bus stop sometime later and this time got the address out of her somehow. IVF took her case. I asked what happened to her husband? She said he went away with another women, had two children. She took her children to meet him when he got sick, so that they at least knew their father. He passed away last year. Her son now teaches guitar to other children at Navjyoti. She says that she got a smile back on her face because now she can watch her son go out with his guitar to work everyday. Her daughters go to school too. She next wants a better place to live. As of now she lives in a small room near a garbage dump but she quickly added flashing a smile, they are so much more happier now. I just didn’t know what to say or where to look! 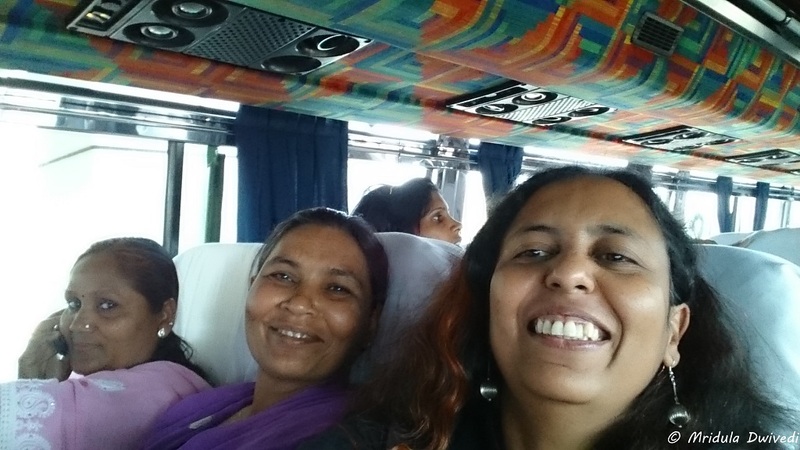 The women working with Navjyoti had a different story to tell! They concentrate on adult literacy. I asked what does it help with? A young lady said her father-in-law can now withdraw money from ATM because he knew how to read! They also said there was purdah in the village but now as women are teaching men in the family, they can bully them as well rather than being in awe of them. They said they have made groups and they intervene if they suspect a women is getting beaten or a girl child at risk whether in womb or as an infant. 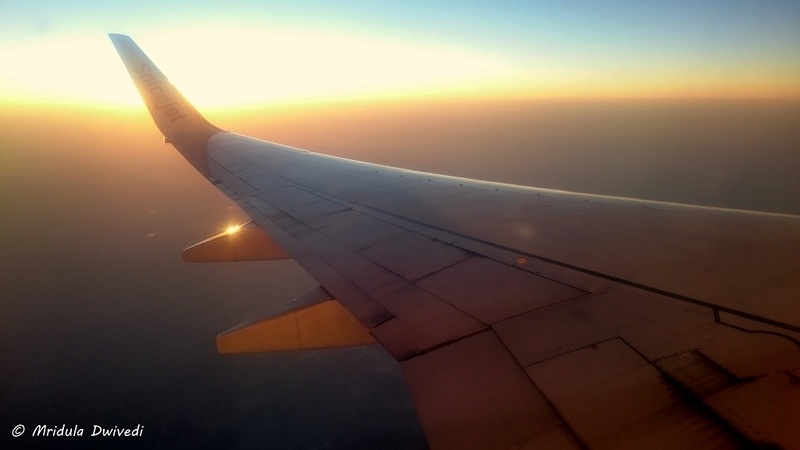 All the conversation happened on a flight from Delhi to Bangalore (and beyond in Bangalore) which was flown by women pilot and serviced by an all women crew and engineers from SpiceJet. I told Monica at one point, “This is the first Women’s Day I have truly enjoyed, otherwise I just considered it a day! I was truly privileged to be a part of the life of the #WomenWithWings for a short while!